The SEO world is still buzzing with the fallout from Google’s Penguin update; you know, the one that’s making everyone send out link removal requests and scrambling to come up with alternative link building strategies. Now we have another update on our hands, but this one seems to be all good news for SEOs and it doesn’t come from Google. It comes from Bing. Bing has updated its Webmaster Tools. The update is called Phoenix, so while the changes are considered revolutionary, it still seems that Bing has Google envy (Penguin – Phoenix; spot the similarities). Then again, Phoenix is an apt name because, by all accounts, Bing is certainly rising from Yahoo!’s ashes. Everyone, but everyone is talking about Phoenix, especially about how SEO-friendly it is. We’re going to look at the features that have set the digital world alight. Pretty much the first thing to grab users’ attention is the new dashboard that is cleaner and easier to navigate. It’s also more user-friendly with data displayed more clearly and logically and, more importantly, more accessibly. Links are like the proverbial hot potato these days; we desperately want them but we’re scared to burn our hands. Bing’s new Link Explorer lets you trawl through domains’ links – internal and external. You can find links to particular pages and use anchor text and keywords to see exactly how links have been structured. It’s your chance to play Big Brother. Clients love reports. SEOs generally don’t like reports because it can be a hassle to find the information you’re looking for, and once you’ve found it, it can be a hassle to format it in a way that makes sense to clients. Bing’s new SEO Reports will automatically run a full-scale report for all your domains and compare your data to 15 accepted SEO best practices. That way you’ll get to see exactly where you’re going wrong, as well as how you’re going wrong, which is perhaps more important. Analytics are SEOs’ bread and butter. Without it we’d be lost. The analytics feature works in conjunction with the reporting tool. It scans individual URLs for best practice errors and non-compliance issues. It doesn’t just point out the problems but it also explains them; once again, presenting you with a clear picture of what’s wrong and what you can try to do to correct it. The Fetch as Bingbot feature gives you a crawler’s eye view of web pages so you can see if Bing is seeing your pages as you want it to. Canonicalisation can be confusing, avoiding canonicalisation can be even more so. Canonical Alerts will help you more effectively use rel=canonical tags and help you from misusing them. Sometimes you don’t want Bing to crawl a webpage and sometimes you don’t want it to crawl a webpage for a certain period of time. The URL Removal Tool effectively blocks pages from the SERPs but the block is only in place for 90 days. Before it expires, webmasters will be given the option to renew the block. Keyword research can be time consuming. Bing’s updated Keyword Research Tool shortens the process by allow users to search multiple entries at the same time. Power SEOs, those who could be deemed rock stars if the term were still fashionable, are busy exploring Phoenix and no doubt we’ll see some more posts on its pros and cons and strengths and weaknesses. 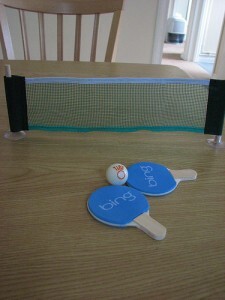 Bing will also deliver tips and guides on how to get the best out of the features. Watch this space.